Are Female Turtle’s Taking Over The Great Barrier Reef? Jurassic Park creator Michael Crichton once said that ‘women will inherit the earth’ and on the northern Great Barrier Reef this might just be true. According to a study published by the Current Biology journal, Green Turtle offspring are increasingly being born female due to warmer ocean temperatures. According to the study, warmer water temperatures are leading to almost complete feminisation of the Green Turtle populations that call the northern Great Barrier Reef home. Rising ocean temperatures create a warmer incubation which results in a greater number of female hatchlings. In fact, the study says that over 99 per cent of eggs produce a female turtle. WWF Australia chief executive officer Dermot O'Gorman said this this phenomenon should be a red flag. "Finding that there are next to no males among young northern Green Turtles should ring alarm bells" he said. Scientists believe Green Turtle rookeries in the northern Great Barrier Reef have actually been producing primarily female hatchlings for over 20 years. 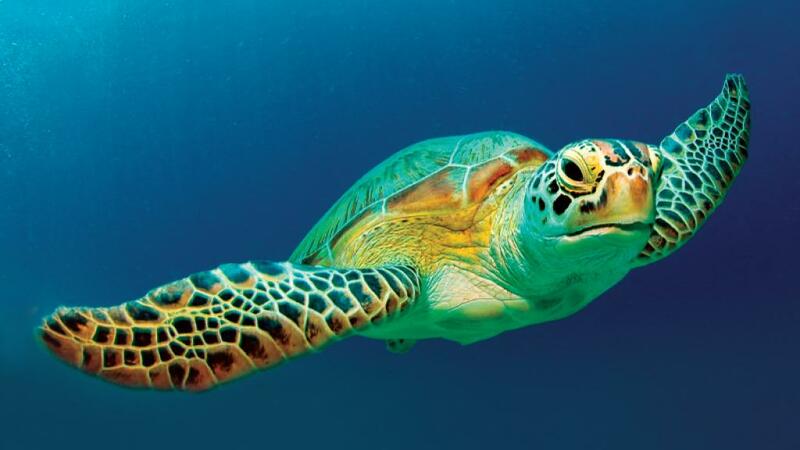 However on the southern Great Barrier Reef, the Green Turtle population is less female-centric with 65 to 69 per cent hatching from cooler rookeries. With no established protocols for dealing with an issue like this anywhere in the world, lead author Michael Jensen from the National Oceanic and Atmospheric Administration said “this research is so important because it provides a new understanding of what these populations are dealing with." Queensland's chief scientist Colin Limpus discussed a number of possible solutions to lower nest temperatures being considered including artificial rain and installing shade cloths. While lowering ocean temperatures and combating the effects of climate change is an important issue for Australia, scientists agree all is not lost for the Green Turtles of the Great Barrier Reef.